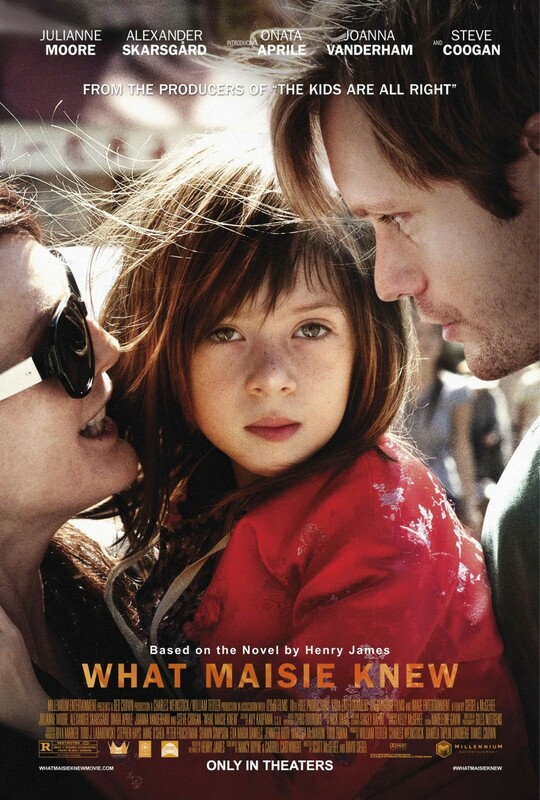 What Maisie Knew is a 2012 family drama, directed by Scott McGehee and David Siegel, based on the book by Henry James. It is entirely told from the point of view of Maisie, a little girl, who is caught in the middle of her parents and their new partners fighting. While it does seem like a bold choice to show everything from a child’s view, it was done brilliantly in this movie. Throughout the entire story, I was amazed by the incredible performance of all actors involved, because those certainly weren’t typical black and white characters. While you could clearly see that everyone loved Maisie, it was also obvious that sometimes parents don’t make the best family. The way the little girl just got handed from one person to the next was heartbreaking. The story was very realistic and quite remarkable in my opinion. While you have to get accustomed to the slow story-telling, it still makes a beautiful, intense, deeply personal plot and will stay with you for a while as a great tale about dysfunctional families and that just sometimes family isn’t what we would expect it to be. Did you watch the movie and enjoy it? Was it not your kind of movie, if so, why?